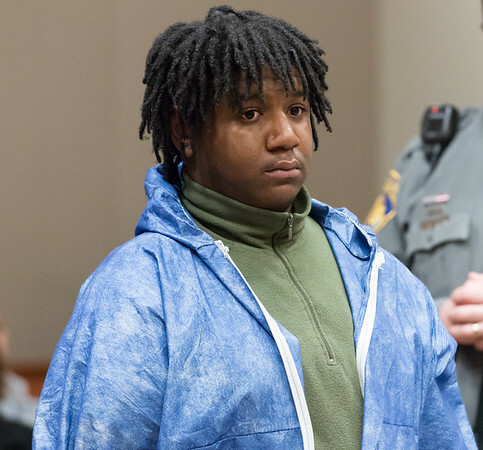 NEW BRITAIN - A co-conspirator in the shooting death of Erik Rivera on North Street earlier this month will be tried as an adult, according to court records. Wilfredo Oquendo, was arraigned Monday for his involvement with the shooting and ordered held on $2 million bond. Oquendo, a 17-year-old, was being seen as a minor prior to his Monday appearance. Chris Watson of the New Britain State Attorney’s Office, who is assigned to the Oquendo case, did not immediately return a request for comment on why Oquendo is being charged as an adult now. Oquendo remains in custody, according to court records. He is charged with accessory to murder and conspiracy to commit murder. The case was continued to March 22 so the defense can review discovery in the case. Attorney Dennis McMahon asked for the continuance date for his client Justin Hapgood, 18, in New Britain Superior Court Wednesday. Hapgood is charged with murder and conspiracy to commit murder. McMahon told The Herald after the appearance he will review the evidence and discuss with his client whether or not Hapgood wants to pursue a trial or plead guilty. McMahon is representing Hapgood because of a conflict with the public defender’s office. Hapgood remains in custody on $1 million bond. Hapgood is alleged to have shot Rivera near the intersection of North and Willow streets on Jan. 15 after Rivera attempted to rob Oquendo, according to the arrest warrant for Oquendo. Oquendo allegedly told Hapgood to shoot Rivera after the robbery attempt. Charles Paullin can be reached at 860-801-5074 or cpaullin@centralctcommunciations.com. Posted in The Bristol Press, General News on Wednesday, 6 February 2019 20:19. Updated: Wednesday, 6 February 2019 20:22.